In my effort to document every cuy we come across I started taking videos and pictures of all Cuys that cross my path. 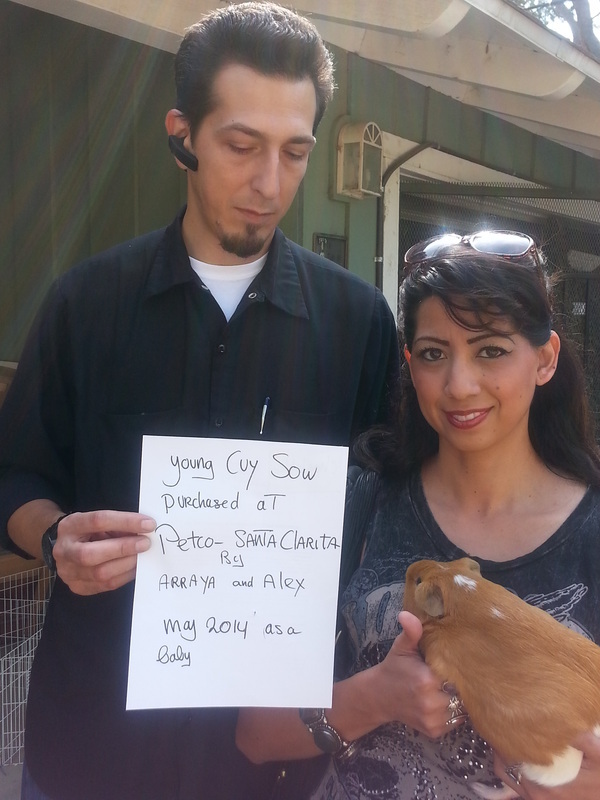 Cuys are really big guinea pigs that traditionally have been bred in Peru as a source as protein. They don't make for good pets because they are very scared, very large, skittish and very hard to tame. Most people think they are doing something wrong and believe they are over feeding the animal, completely unaware their guinea pig is a Cuy. Petco, Petsmart and other pet stores have been selling them and there is no letting up. 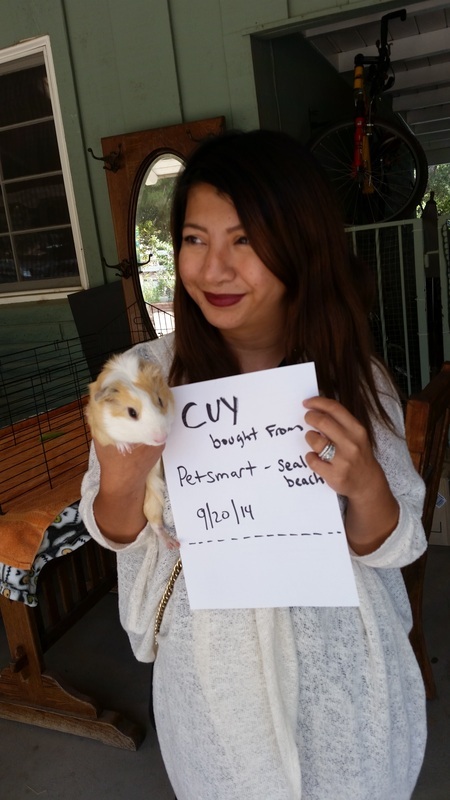 They need to stop selling Cuys. Well they need to stop selling all any live animals but if we can get them to stop buying Cuys from their suppliers then that would be a really good start. 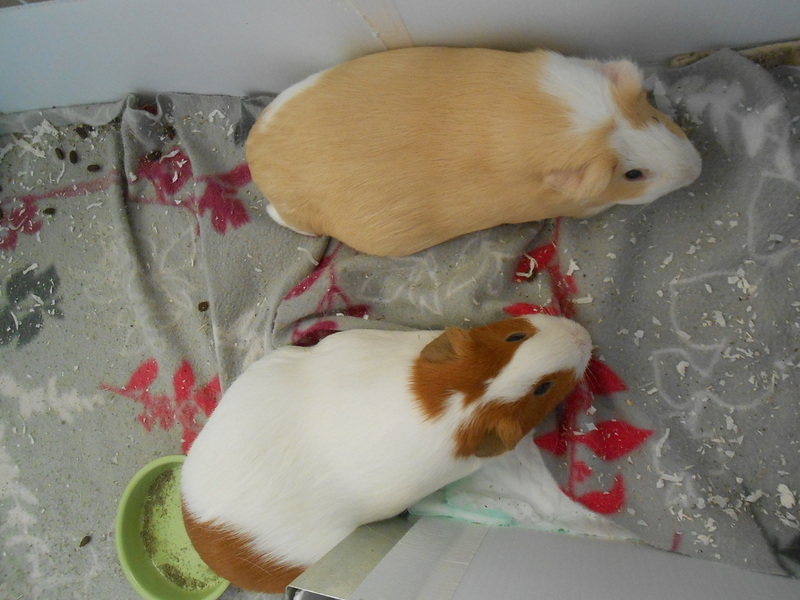 Their coat is smooth and they sometimes have a crest on their head as shown in the pig pictured on the left. They usually hide the moment they become aware of human presence. Almost impossible to pick up because they are very fast and will do anything and everything to get away from you. Can easily jump three to four feet. 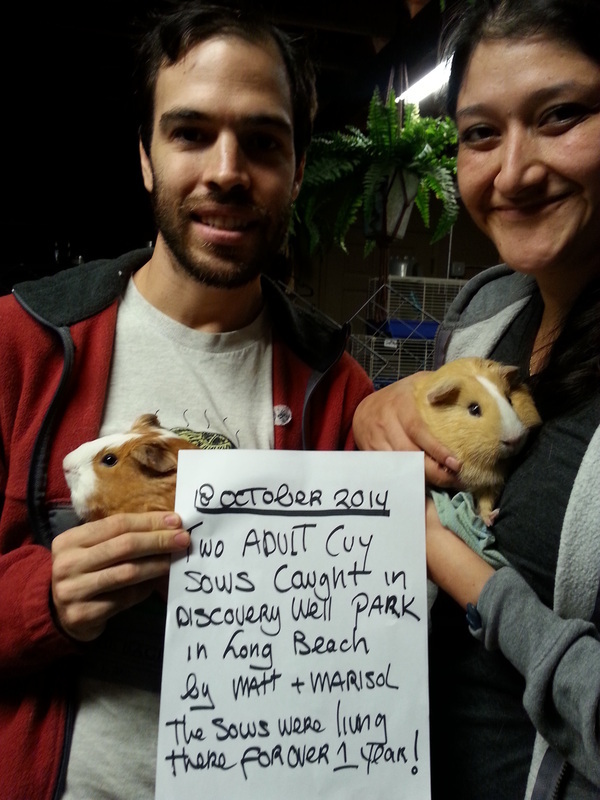 November 8, 2014 Another Cuy Rescued and Surrendered. This Cuy was taken from a girl that was giving her away. This family has taken care of her till we had space here at the shelter. Today Rachel came to surrender her pig. She was so sad because she thought she somehow must be doing something wrong and that she was making her guinea pig unhappy. By surrendering her she hoped that Ginger would find a home that she somehow would be happier in. 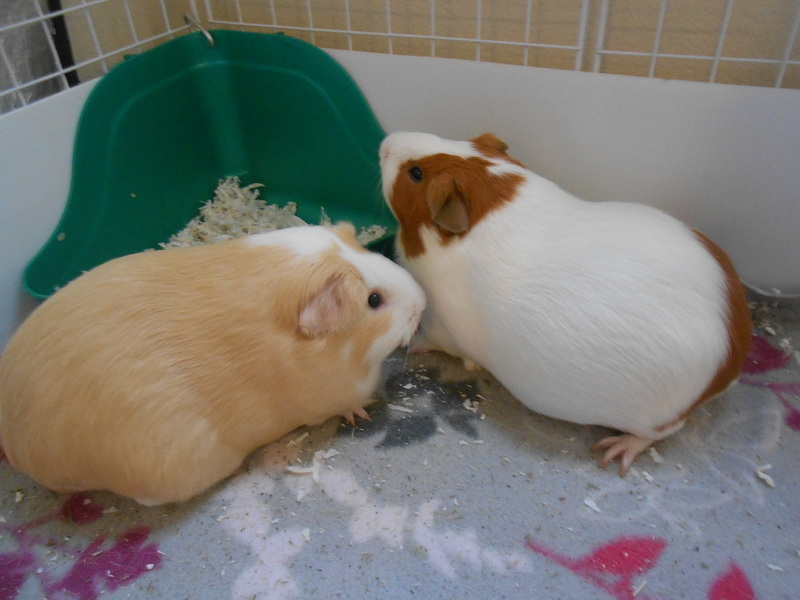 This is before I explained that Ginger was a rather big Cuy. Once she understood that, instead of surrendering she actually ended up getting a much bigger cage and adopted a buddy for Ginger! What is the reason that you can no longer keep them?